SPAM TEXT MESSAGES - Get up to $1,500 per text! and even up to $1,500 per text where the violation was made willfully or knowingly, as well as injunctive relief to stop the spam text messages. 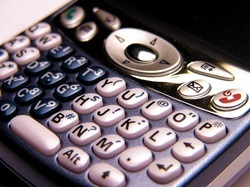 Numerous TCPA class actions have been filed against companies for violating the TCPA's prohibitions against unsolicited text message spam, providing for many millions of dollars of relief for consumers across the country. for a FREE case review. No fee unless you obtain relief!